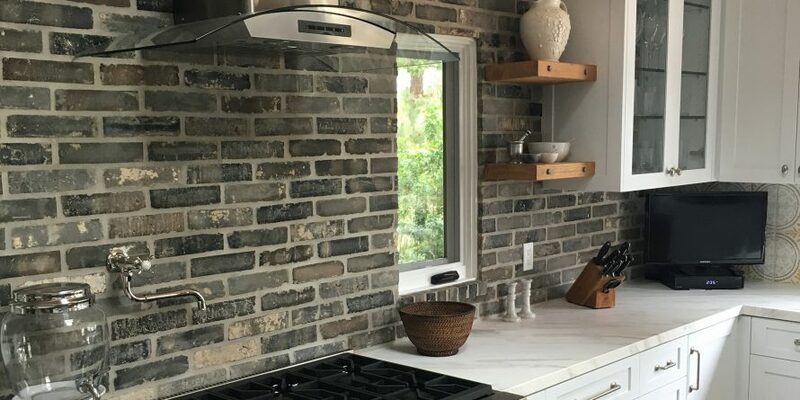 From an entire wall to a kitchen backsplash, our grey brick veneer instantly adds character and style to any space. Stone Farm continuously sorts a consistent range of colors within each blend as we salvage brick from several projects where gray clay can be found. A grey vicarage backsplash adds color and dimension to your kitchen. 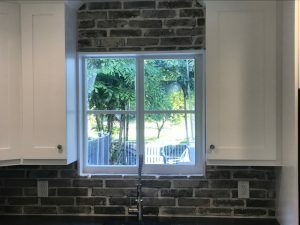 If you want to replicate the look of an old gray brick wall in your home or commercial space, the only way to do so is by using reclaimed thin brick veneer. Unlike other brick veneers that are made to look like weathered bricks, our reclaimed thin brick veneer is produced by slicing the faces of salvaged bricks reclaimed from old factories and mills. Although it was tough for even us to stray from our long-time favorite New England Mill Blend, we are thrilled at how the Vicarage Grey looks in our new offices!!! We hope you can stop by and check it out yourself!!! 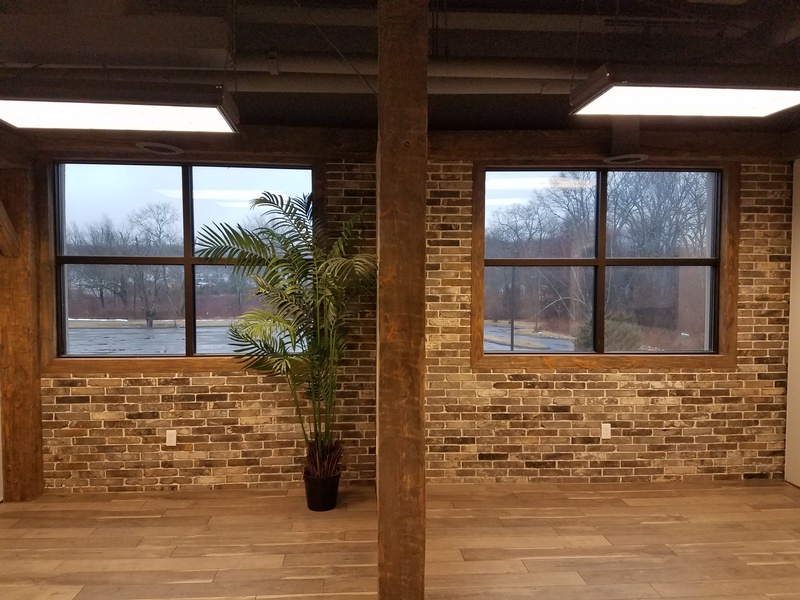 We used grey vicarage brick on the interior walls of our office space to add color and texture. Interested in seeing what grey (or red) brick can do to transform a room in your house? Request a sample by emailing us at marketing@stonefarmliving.com or give us a call at 203.270.2900.